NEC announced [JP] the so-called LaVie Touch for the Japanese market today, a tablet with two rather special features: it’s powered by Windows 7 Home Premium, and it comes with a total of three hardware add-ons out of the box: a mix between stand and DVD-drive (dubbed “Multistation”), a wireless mouse, and a wireless keyboard. In other words, it won’t be possible to purchase the tablet by itself. 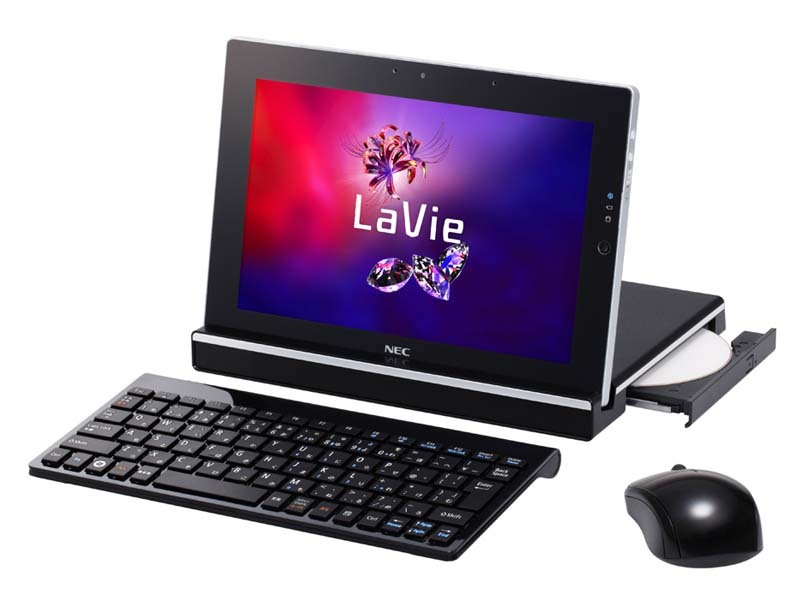 NEC plans to roll out the LaVie Touch in Japan next month (price including the add-ons: US$1,230).